The challenge was to create visual concepts to represent the excitement and beauty of an exotic wedding venue in beautiful Thailand. 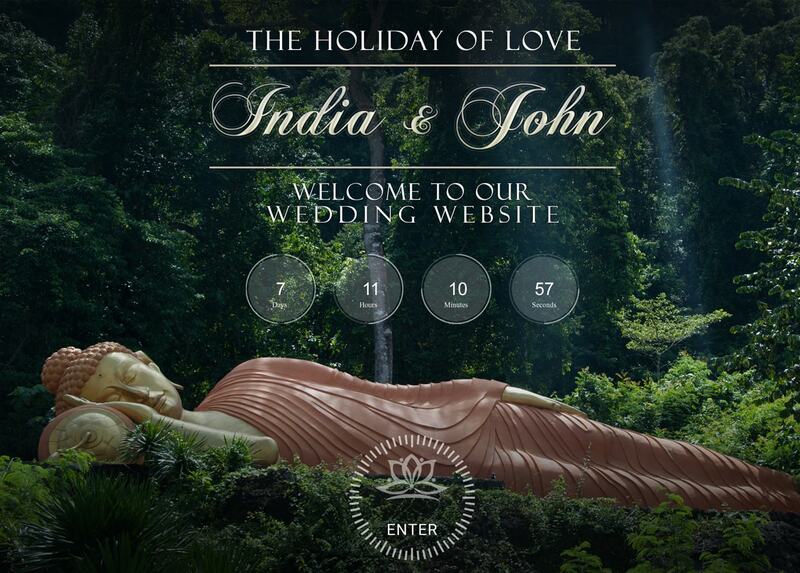 A wedding website with plenty of website wow factor to announce your wedding. Send wedding invites, RSVPs to friends and family. The new website has a clean custom desktop design mobile ready for hand-held devices, tablets and laptops. This custom website features custom login and uploading of photos for wedding guests. Let VISIONEFX provide your next beautiful and exciting Web design wedding invitation announcement. VISIONEFX, a Virginia Web design company provides custom design, development, eCommerce, Word Press, Moodle, Database, SEO and Web maintenance services. Call: (757) 619-6456 or email info@visionefx.net.